New board members selection were presented, discussed and approved by the general assembly. 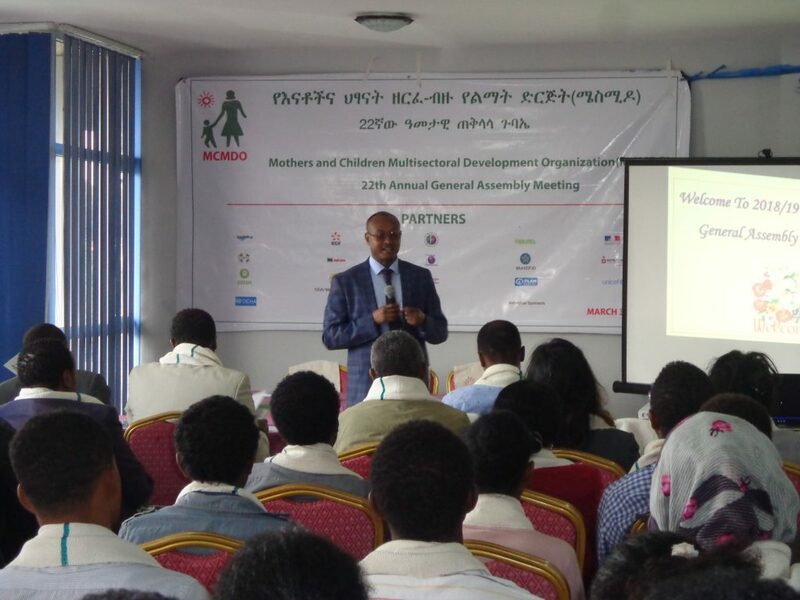 Ato Tilahun Mulugeta, Executive Director of MCMDO gave an opening speech. Following he invited the vice chairperson of GA members Ato Hadush Halefom took the stage and opened the meeting the reason with the absence of the chairperson Ato Tesfaye Getachew. Following, the Board chair person W/ro Adanech Kebede, presented 2018 Board Report of MCMDO. After she finishes her report, she invited the General Assembly members to visit mcmdo’s Addis Ababa area projects. 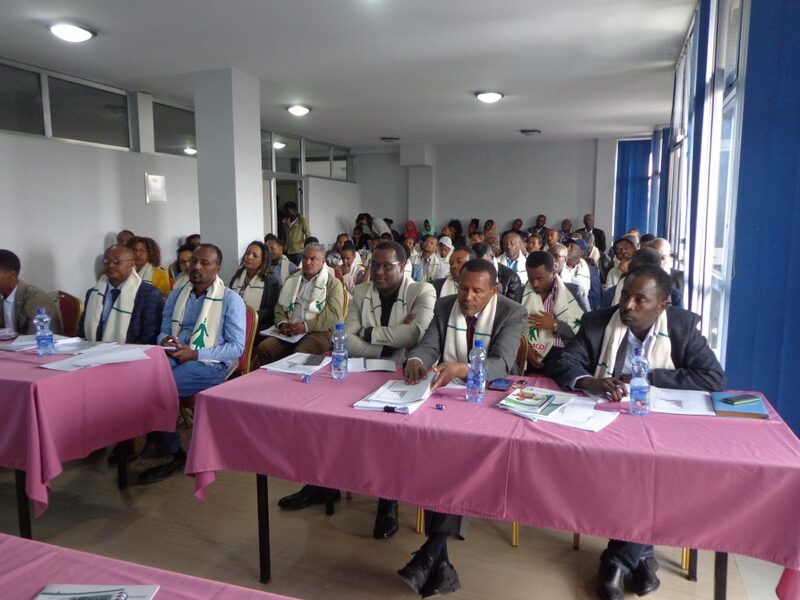 Following An Audit report of 2018 was presented by external auditor, Ato GetaMehari Temesgen, he explained that no problem witnessed during audit inspection. Then the 2018 Annual Report was presented to the GA by Ato Fisha Mezgabu, program director of MCMDO. Subsequently, Financial Report of 2018 was presented by MCMDO’s Finance Manager, Ato Biruk Tamene. Following this, beneficiaries gave their testimony about the organization have done for them. Afterwards, the GA participants at the meeting held a detailed discussion on the issues stated on the report and testimony’s given by the beneficiaries. Comments and feedback were also given. After that the GA participants assigned new board members in a place of those who completed their terms, they requested to keep W/ro Adanech Kebede, Ato Asamnew Kassa and Ato Assefa Tesfaye. and five new Board members nominated and four are selected, who are w/ro Fana Abraha, Ato Tamiru Mersha, w/ro Abaynesh Yerega and Alfanur Abu Kufa. The annual plan for 2019 was presented by Ato Mikiyas Abrham, M&EL unit head of MCMDO. Adding 2 more thematic areas (Democracy and Human right, conflict resolution peace and reconciliation). Following, GA participants approved 2018 Board Report, Financial Report, External Audit Report and 2019 plan and Board members election. 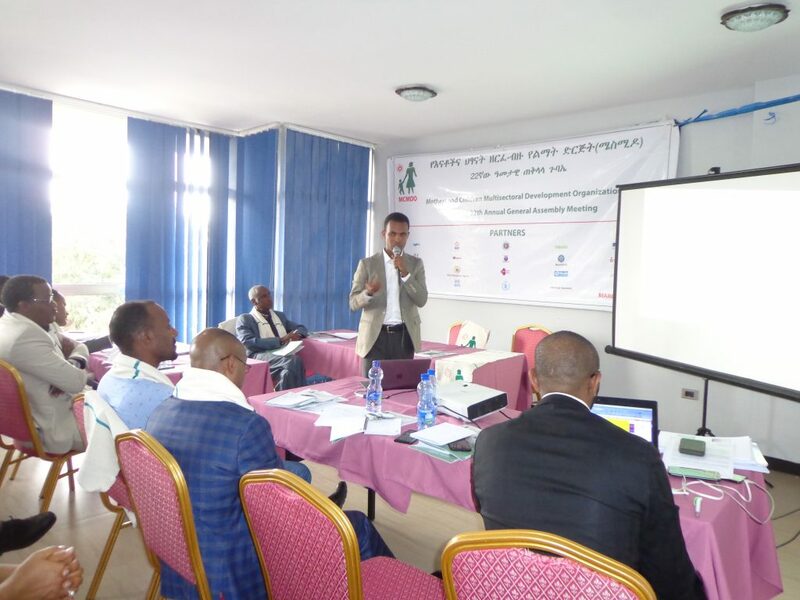 The meeting was finalized by closing remarks made by Executive Director of MCMDO Ato Tilahun Mulugeta, at 1:30 p.m.